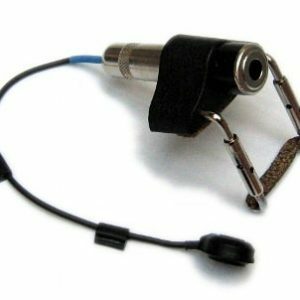 To go further, for even more naturalness and respect of acoustics, you can choose to associate an aerial mic to the contact microphone to adapt to any situation. The 2X48 + ACVX combines these two types of microphones in the same system. The J48CBC9 + CVX is a version well suited to the mandolin. 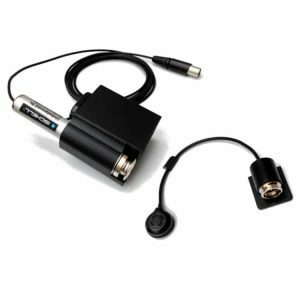 You will have the choice of mini-xlr connectors for convex mandolins or violin clamp for flat f mandolins. 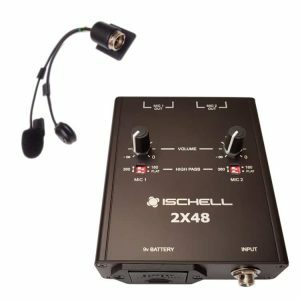 The X48C is removable, simple, XLR output, work with phantom power. 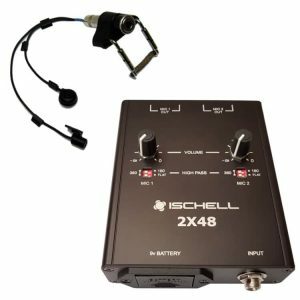 The 2X48 + ACVX is a removable model, perfect for that with its mini-xlr connectors. The Jack out can be used with balanced or unbalanced Jack. The battery life is 500 hours with an unbalanced Jack. With a balanced Jack and phantom power, the battery does not discharge. The installation is removable, without any intervention on the instrument. N°2 : The X48C is also appreciated for its simplicity. N°3 : The 2X48 + ACVX with its combination of both pickups optimizes the sound in every situation by bringing power and respect of acoustics. 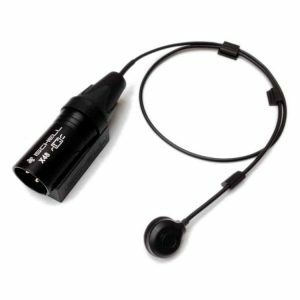 The contact microphone gives you power for the face and monitors, high accuracy in bass and midrange, dynamics… The air microphone brings you the proximity reverberations of the instrument, game details, air, the finesse of treble… Mini-xlr connectors. C’est génial, naturel, hyper dynamique avec beaucoup de sensations proches du naturel. Pour le oud, je crois que c’est la solution la plus fidèle qui existe !